They’re back! Macy’s 4th of July Fireworks have returned to the East River. 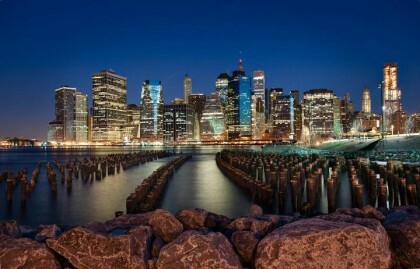 Brooklyn Heights residents and many, many, many visitors will be checking out the show from the Promenade and close-up from Brooklyn Bridge Park. If you live near any streets leading to these areas check for No Parking signs (we spotted some on Cranberry Street this evening). The city is advising people to arrive 5pm to “snag” a good spot for the 9pm show. Squibb Park and Bridge will be closed. Barbeques on Picnic Peninsula will be closed. Pier 4 Beach will close at 4pm. Jane’s Carousel will close at 6pm. Volleyball courts will close at 4pm. The Pier 2 sports courts will close at 4pm. The Pier 5 sports fields will close at 4pm. Chairs will not be allowed in the park. Parking is extremely limited. Please use public transportation. See our Visitor Information page for subway, bus and ferry information. To enter the park, please use the park’s main entrances at Old Fulton and Furman Streets or Atlantic Avenue and Furman Street. You have never seen KING LEAR quite like this. Join us in the amazing interior of the Saint Charles Borromeo Church in Brooklyn Heights for a modern gothic take on one of Shakespeare’s most beloved tragedies. 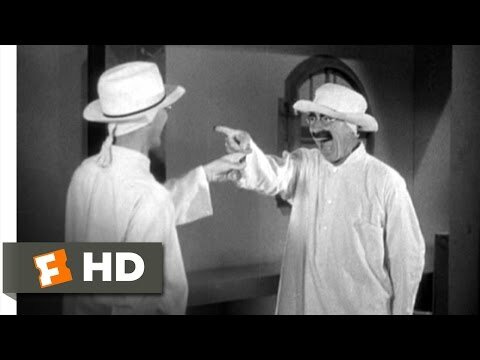 You will be at the center of the action as we explore both the humor (Yes! Humor!) and poignancy of the challenges of the aging body and mind in this timeless story of family greed and failure to communicate. 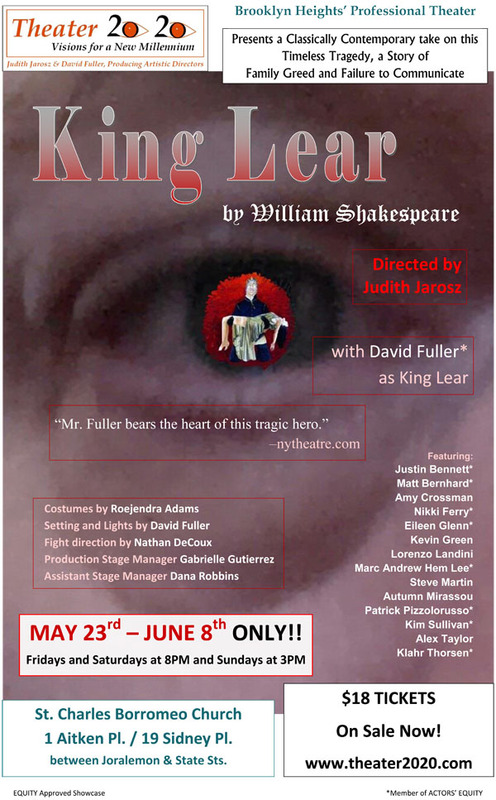 Well known New York Indie Theater actor [and Heights resident] David Fuller stars as King Lear, and Kim Sullivan (Classical Theatre of Harlem) is Gloucester in this 15 member diverse and top notch cast. Following the play’s run at St. Charles Borromeo, on the weekend of June 13-15, there will be three free outdoor performances, each starting at 7:00 p.m., on Pier 1, Brooklyn Bridge Park. No reservations are required. See our review of Theater 2020′s production of Candide in February of this year. 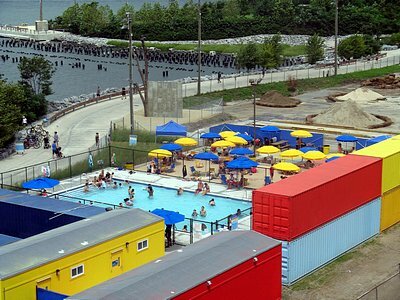 While the Pier 4 beach (photo) and Pier 2, with its athletic facilities (see photo after the jump) have been accessible to the public for several days now, they will both be officially opened this Thursday (May 22) afternoon. Our program will kick off promptly at 3:30pm with a celebratory ribbon-cutting, followed by clinics and programs on our bocce, shuffleboard, handball and basketball courts. Pier 2 is the Park’s second active recreation pier, and features five acres of active recreation courts for basketball, handball, shuffleboard and bocce, as well as a full size roller skating rink, swings, picnic tables, restrooms and fitness equipment. 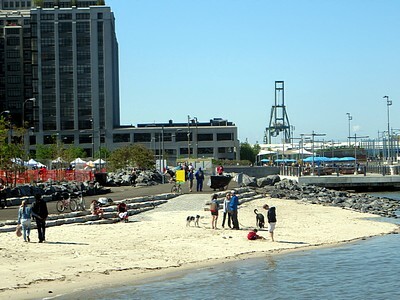 Pier 4 Beach is a unique sandy shoreline that allows park visitors to access the East River for non-motorized boating and educational programs. The ribbon-cutting will take place at the entrance to Pier 2. All are invited to this free event. Brooklyn Bridge Park may be getting even more popular this summer — there’s a robust schedule of free events. Sweeping views, great lawn, dance lessons, beer gardens, bike valet… and it’s free! Three spring evenings feature some of the coolest dance bands on the planet, the funkiest DJs under the stars, and the greatest view in the world on Pier 1! August 28 – Public Vote! Three turf fields invite soccer, flag football, field hockey, lacrosse, rugby, and ultimate frisbee players alike to play games looking out at the skyline. Check the website for open play time. Conservancy Soccer Leagues: Get in the game. Coed and men’s adult soccer leagues play Wednesdays in spring, summer, and fall. Saturday morning youth leagues in spring and fall. 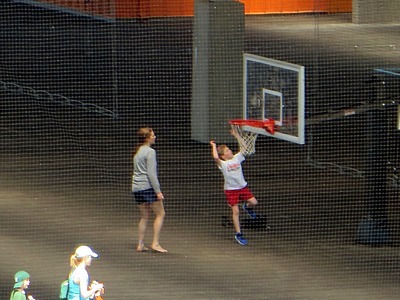 Sign up for leagues at brooklynbridgepark.org. Walk-up Play: Bring your own volleyball. League Play: Join a team for organized play on Wednesday and Thursday evenings and join in weekend tournaments. Reserved Play: A limited number of courts can be reserved for an hour by individuals online at brooklynbridgepark.org. Public Clinics: Brush up your game with free instruction for children, teens, and adults. Stop by the free rider assistance and information station where you can get a drink of water and healthy snack, then pick up safety instructions, bike maps, and route suggestions. Amble through the historic rise of Brooklyn distilleries of the 1800′s until the death knell of the Volstead Act in 1920. Join this dedicated corps of volunteers who keep Brooklyn Bridge Park beautiful! The Green Team meets every Saturday to provide essential horticultural care to the park. The Green Team is a wonderful opportunity to enjoy nature and make the park look its best. Children are welcome to volunteer with a parent or guardian. Team up with thousands of volunteers worldwide to combat pollution in our waterways and along our coastlines. Volunteers will care for our unique coastal environment by cleaning up the park’s beaches, shorelines, and salt marsh. It promises to be a remarkable stewardship experience. It’s the 15th year for Brooklyn Bridge Park’s Movies with a View which will kick off with the Marx Brothers’ Duck Soup on July 10 on the Harbor View Lawn. As is tradition, Brooklyn Bridge Park Conservancy and Syfy invite the public to vote on the last film of the summer. 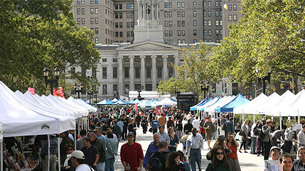 Stay tuned to www.brooklynbridgepark.org for details throughout the summer. Just in time for Opening Day, Yankee fans from Brooklyn Heights and beyond wax poetic about Captain Derek Jeter in a revamped version of Walt Whitman’s “O Captain! My Captain!” directed by BHB’s Heather Quinlan. (Who would like it to be known that she is a Mets fan.) Featuring scenes from Brooklyn Bridge Park, Grace Church, and Cobble Hill’s Henry Public. Watch and enjoy, and may the best team win. Brooklyn Bridge Park has successfully integrated the Brooklyn waterfront into the fabric of the neighborhood by creating urban nodes at the park’s main entrances and improving access with a new pedestrian bridge. 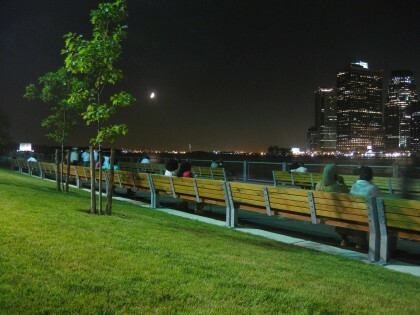 The park was planned with several goals guiding its development, including returning the waterfront edge to the public; creating a multi-use civic space; and connecting with the adjacent neighborhoods. 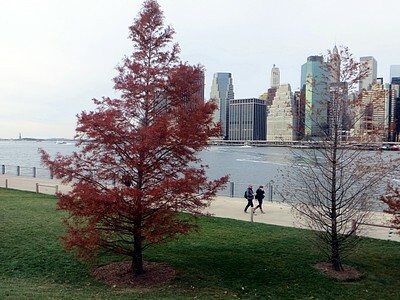 Since 2009, we have watched a stretch of abandoned piers and uplands below Brooklyn Heights become a world-class park. Visitors can now walk a shade-dappled path through native plants, picnic on a grass lawn with a view of the Brooklyn Bridge, and take in a performance or lecture sitting on the granite steps facing lower Manhattan.